A roof protects your house and everything inside it from rain, snow, heat and adverse weather conditions. However, as the roof ages, roof problems are inevitable. Unless the roof is properly and routinely maintained, roof problems can lead to big problems for you. Below is a list of roof related problems to be aware of and when you should consider obtaining the services of someone qualified to do a roof repair in Frisco TX. Effects of extreme weather like heavy wind and hail, or individual tile failure or corrosion of nails results to slipping of tiles. This problem is usually very easy to repair and requires replacement of the broken tiles. Damaged or loose guttering brings about leaks, especially during heavy rains. The leaks can be resealed. But if the downpipes show any cracking, then they should be replaced. Roofing felt further waterproofs tile or slate roofs. It is easy and cheap to patch small damages, but more extensive damages need additional diagnosis for other roof related problems. Wet or rotten roof joists or rafters is a potentially serious problem. The cause is probably missing tiles or slates. When the cause is identified, it becomes easy to repair or replace faulty timbers. However, you cannot do this on your own because roof rafters account for most of the weight of the roof. A roofing contractor can do a thorough assessment or inspection. This problem often occurs in old roofs. Undulations and dips in the roof may not be an urgent problem, but only if they are stable. Most old structures have already dried-up timbers, which leads to dips. Historical buildings often preserve their dried up timbers. This is a very rare problem for us in North Texas. The moss needs to be removed only if it blocks drainage points, outlets or gutters on the roof. Often, the roofer should recommend replacement of the concrete roof where moss often grows. This short list of roof problems are easy to spot. Familiarizing yourself with this list of common roof problems may help you to extend your roof life. 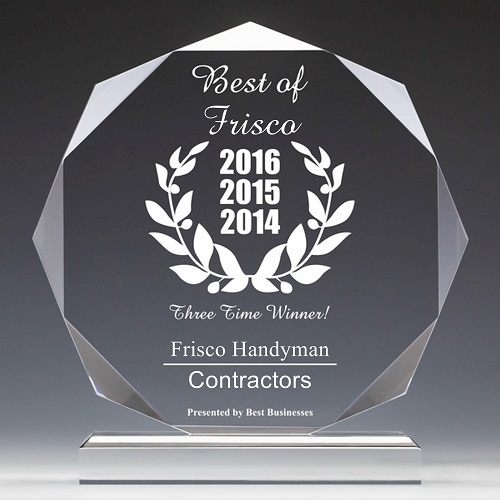 Maximizing roof life means you should be able to detect problems early, provide consistent roof maintenance, and ensure that the roofing contractor does a quality roof repair in Frisco TX. However, remember that the probability of roof problems increases as your roof ages.